As winner of the inaugural "Trophée Stan Hugill", French fans dub Tom The Springsteen of Sea Chanteys. Old Songs Festival (Altamont NY) declares "This man knows the sea ... from the bottom up! ", whilst Living Tradition (UK) says "Although I always knew he was good, I was not quite prepared for HOW good." 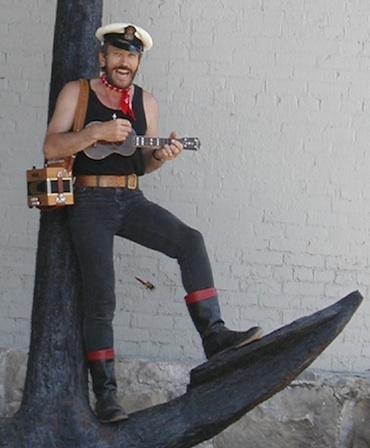 24 years in the British Royal Navy, provides him with that vitally authentic stance with which to tackle nautical song Living Tradition. 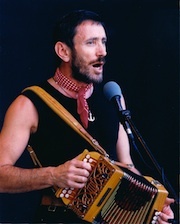 With songs that have become folk standards; known and sung wherever great choruses ring out; Tom accompanies himself on button accordion and ukulele—but it's that powerful vocal style and infectious humour—that quality of entertaining—which keeps audiences coming back again ... and again. 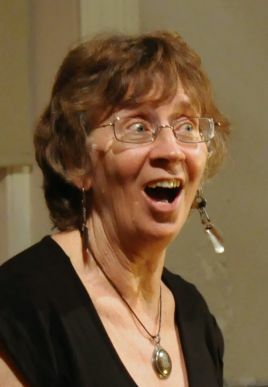 Margaret has been part of the Australian folk scene for many years, both as a solo singer and as a member of the Roaring Forties, and formerly in partnership with songwriter John Warner. Her warm, complex voice has graced songs ranging from traditional ballads, through sea shanties, blues, and songs of industrial life, to contemporary songs of the environment.